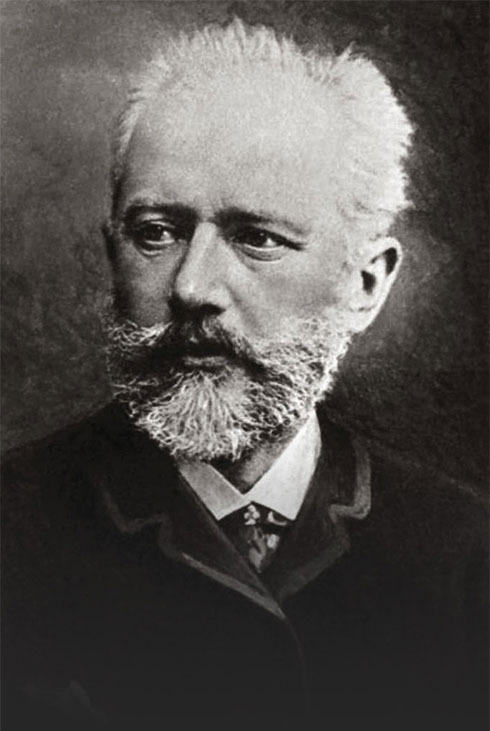 The artistic legacy of Pyotr Ilyich Tchaikovsky has become an undeniable fixture of modern life. His music, intimately connected with folk melodies and with all the genres and the lifestyle of his era, is truly international and undiminished by time. It is recognized throughout the world both as a symbol of Russia's national music and also as an example of the universality of what is most important in mankind's thoughts and feelings, which are embodied in the music in a way that is striking and accessible to everyone. Tchaikovsky's works cover practically all the musical forms, with an emphasis on the largest and most telling-operas and symphonies. These contain the fullest and clearest depiction of the artist's inner world as they concentrate on the intricate stirrings of the soul revealed in stark dramatic confrontations. And at the same time one of his main distinctions is a lyricism expressed through melodic beauty that draws an immediate response from the listener. It is impossible to improve upon these words of Pyotr Ilyich Tchaikovsky to explain the meaning of his art which involves speaking «truly, honestly, and simply» about those things that are the essence of life for anyone. Tchaikovsky's dream came true-more and more we are finding «consolation and encouragement» in his music. The composer's hundredth birthday in 1940 was celebrated as a national holiday. That was when the Moscow Conservatory and the Concert Hall of the Moscow Philharmonic were named after him. After another 18 years the first International Tchaikovsky Competition took place in the capital, and it came as one more vivid indication of the world's high regard for this great Russian composer. It should come as no surprise that there is a meaningful coincidence right now: the milestone XV Competition falls on the 175th year after Tchaikovsky's birth. During the spring festivities in Moscow, Saint Petersburg, Klin, Votkinsk and other cities, the Competition will carry out its mission-to be both the culmination of a jubilee birthday and also to go down in history as an extraordinary artistic event that reveals to the world the new stars of classical performing mastery. It was Saint Petersburg that formed Tchaikovsky as a person and as a musician. Toward the end of his life, the city humbled its imperial pride before this man of genius. This can be explained by the patronage of Alexander III, which influenced what happened on the stage of the Imperial Mariinsky Theatre. That was where «Sleeping Beauty» and «The Queen of Spades» had their premieres, as well as the opera-ballet double bill of «Iolanta» and «The Nutcracker» that was staged in honour of the Crown Prince. However, there were many less glamourous but no less meaningful events-right up to the premiere of the Sixth Symphony that was understood by so few. 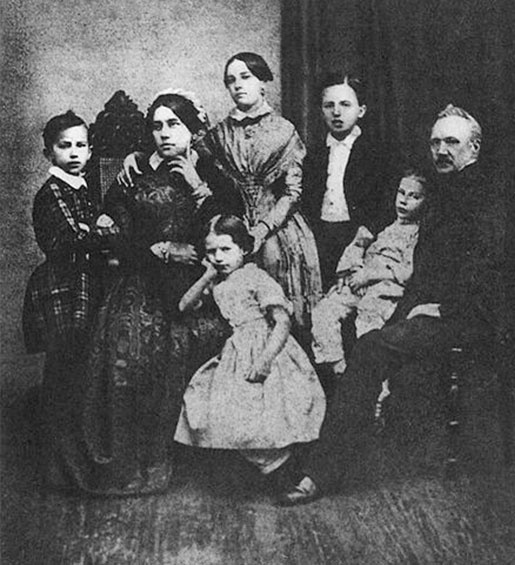 Tchaikovsky's parents brought him in 1850 from distant Votkinsk to St. Petersburg when he was eight years old, and the boy's childhood would have been quite ordinary had it not been for the loneliness suffered when he was separated from his parents to spend his first two years at the Imperial School of Jurisprudence. In her book «Tchaikovsky. A Lonely Life» Nina Berberova gives a speculative account of the boy's heartrending farewell to his mother, which has been employed in so many biographies and films about Tchaikovsky that it has overshadowed another fact: the happy reunion that came later,. His parents did, in fact, come and settle in St. Petersburg in 1852. On Kosoi Pereulok (Crooked Lane) at the corner of the Fontanka River opposite the school, stood the apartment of Tchaikovsky's aunt on his mother's side, Yekaterina Alexeeva. Tchaikovsky remembered how his mother would often come there and wait at the window overlooking Kosoi Pereulok and while he would sneak into his bedroom at the school to watch her from his window. Two years later in June 1854 Tchaikovsky's mother died of cholera. 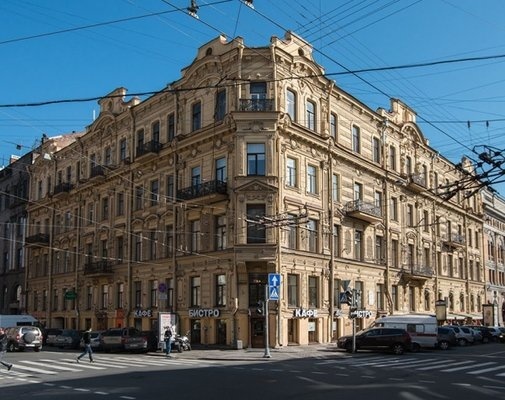 From the School of Jurisprudence, from which Tchaikovsky graduated in 1859, his path would take him through the streets crisscrossing Vasilievsky Island, to the homes of his relatives, and to Nevsky Prospect and the Alexandrinsky Theater. 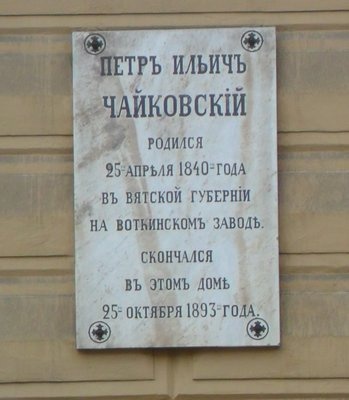 Later on, when he studied at the free music school and conservatory located in a wing of the Demidov mansion on the corner of Demidov Pereulok and the Moika River, his evening path would lead to Leshtukov Pereulok, where his father and brothers lived, or perhaps to the loge at the opera, where he saw the premiere of Serov's «Judith», or to Mikhailovsky Hall for a concert by the Russian Musical Society. In these years the future composer was absorbing the moods and forms that would later appear in both his most lyrical pieces (the «Romeo and Juliet Fantasy Overture» and «Eugene Onegin») and in his most tragic («The Queen of Spades» and the «Pathétique.» Symphony No. 6). Yet Tchaikovsky's devotion to Petersburg was only part of the story. For «authentic» Petersburgers, like the so-called «Mighty Handful» of Russian composers, Tchaikovsky was always a Muscovite. In the late 1850s to early1860s, the military engineer Cui, the provincial wunderkind Balakirev, chemist and physician Borodin, the civil servant Mussorgsky, and the future naval officer Rimsky-Korsakov had all come together accidentally but almost inevitably under the rubric of the «New Russian School» as it was dubbed by Stasov, the capital's intellectual doyen. They never connected with Tchaikovsky, who fell into the orbit of Anton Rubinstein, a star of musical life in St. Petersburg and founder of the first conservatory in Russia. Tchaikovsky with his reticence and preoccupation with music was attracted by Rubinstein's passion for community service and missionary ambition. The encyclopedic knowledge of Rubinstein the musician went hand in hand with the limitations of Rubinstein the pedagogue. His ruminations on Mozart («Yes! Divine creativity, pierced through with light!») alternated with didactic lectures on Haydn («I hear him talking in Hungarian slang.»). The overture «The Storm» of 1864, in which Tchaikovsky used instruments banned in student compositions-the harp, English horn, tuba, and cymbals-left Rubinstein in a state of indignation. And when the overanxious student did not appear for his graduation concert, Rubinstein nearly withheld his diploma. But there were also moments of true admiration, as, for instance, in the case of the 200 counterpoint variations that Tchaikovsky brought one day as his homework. And most importantly, there was the recommendation to his brother, Nikolai Rubinstein, thanks to which Tchaikovsky received the post of professor at the newly opened Moscow Conservatory. Coming after St. Petersburg's European architecture, mathematically aligned streets, decorative excess, and precise rules for both the «frozen» and «unfrozen» kinds of music, Moscow entered Tchaikovsky's life as a city that deviated from the rules. In the maelstrom of Moscow life he experienced brilliant revelations, made deep attachments, and developed a loyal following. There were also dangerous missteps arising from the illusions of art, such as his ill-advised marriage to Antonina Milyukova. Nevertheless, Moscow became the city where Tchaikovsky came into his own. His work at the Moscow Conservatory was soothing and fostered the artist and critic in him given to passionate expression and trust in himself. Take for example his stubborn retort to Nikolai Rubinstein, who had pronounced his First Piano Concerto too complicated and awkward for the pianist. «The concerto is being printed," said Tchaikovsky, «in its present form.» It was Rubinstein who had to change his mind. Four years later he performed the concerto with great success. The St. Petersburg premiere of the work took place on November 1, 1875, at a symphony performance of the Russian Musical Society. Professor Gustav Kross was soloist and Eduard Nápravník conducted. Tchaikovsky had been unable to compose in St. Petersburg, but in his twelve years of «artistic asylum» in Moscow he created numerous scores. In 1872-1873, in a house on Kudrinskaya Square (now the Tchaikovsky Cultural Center), he worked on his Second Symphony, the symphonic fantasy «The Storm», music for Alexander Ostrovsky's play «The Snow Maiden», and a series of other compositions. The First Symphony, the operas «Voyevoda», «Vakula the Smith», and «Eugene Onegin», as well as sketches for the Fourth Symphony, were also written in Moscow. 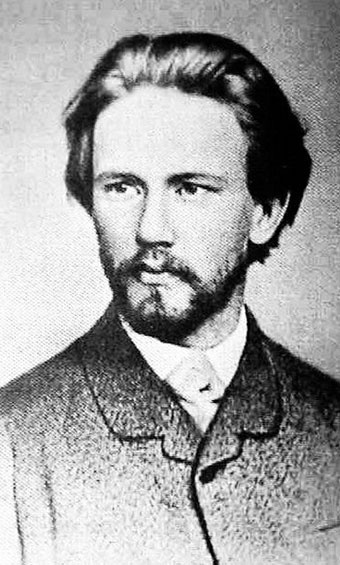 Tchaikovsky's close circle included Nikolai Rubinstein, critic Nikolai Kashkin, cellist and conservatory official Konstantin Albrecht, music publisher Peter Yurgenson, and the young pianist and composer Sergei Taneyev. Beyond these, his larger circle included Alexander Ostrovsky, Lev Tolstoy, and performers at the Maly and Bolshoi theaters. 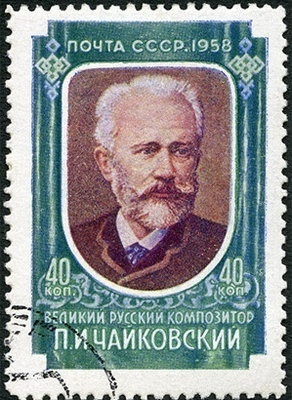 To one of these, who was first to play the role of Eugene Onegin, Tchaikovsky gave a photograph of himself with the touching inscription, «To Pavel Akinfievich Khokhlov from the admiring subject of this portrait.» On March 18, 1958, on the day that the First International Tchaikovsky Competition opened, that portrait was printed in the newspapaer «Sovietskaya Kultura». The candid feeling that Tchaikovsky put into his music is startling. People today take this as a challenge to esthetic standards. However, it was that very candour that drew Nadezhda von Meck, the widow of a railroad magnate, and Tchaikovsky together. Their exchange of letters went on for fourteen years, and von Meck's role in Tchaikovsky's life as his patron is well-known. Nadezhda von Meck's intercessions on the composer's behalf were beneficial for the composer's life and work, but they ultimately severed Tchaikovsky's ties with Moscow. By this time, Tchaikovsky was already world-famous. He headed the Moscow branch of the Russian Musical Society, and Sergei Taneyev (dubbed «the musical conscience of Russia») had been appointed director of the Moscow Conservatory on his recommendation. Tchaikovsky's standing in St. Petersburg manifested itself in an imperial stipend, lobbied for by the director of the imperial theaters, Ivan Vsevolozhsky, and in regular opera and ballet premieres at the Mariinsky Theatre. Tchaikovsky's visits to the city on the Neva became shorter and more private. At the beginning of 1892, he settled eighty kilometers northwest of Moscow on the outskirts of Klin, where he rented a house from a local attorney. The composer's plan to purchase the dwelling was carried out after his death by his brother Modest. 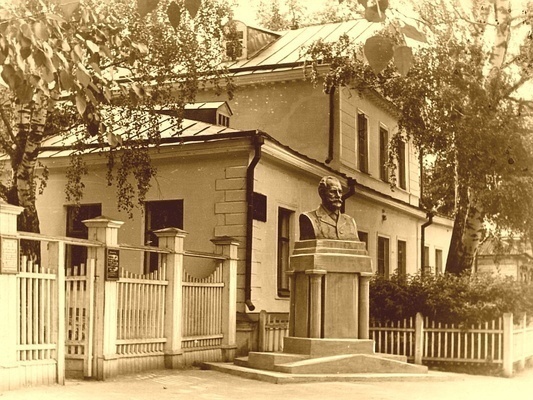 It now houses the State Museum of the Tchaikovsky Home in Klin. «If God will prolong my life, I dream of living for four months a year in a furnished apartment in St. Petersburg and the rest of the time in my little home in Klin," Tchaikovsky wrote to a close relative. He lived just seventeen months after writing those lines. Tchaikovsky died on October 25, 1893, in his brother Modest's apartment in St. Petersburg at the corner of Malaya Morskaya and Gorokhovaya streets opposite the former mansion of Natalia Golitsyna, who had been the real-life prototype of the Countess in Pushkin's «The Queen of Spades». Several days earlier, on October 16, he had conducted the first performance of the Sixth Symphony about which critic Vladimir Stasov wrote: «It is nothing less than a terrifying cry of desperation and hopelessness, as if the melodies were saying, ‘Why did I live this life?'" The preoccupation with the abyss was woven deeply into Tchaikovsky's output, but that does not tell the whole story. In the beauty of former times, Tchaikovsky discerned the despair of emerging modernism. In the Russian idiom, he discerned the outlines of the pagan that would later be underscored in the music of Stravinsky and Prokofiev. Iolanta's blindness and vision are praised as the Light of Divine Creation, and the madness of Herman before his death in «The Queen of Spades» («What is our life, but a game!») was a new account of what Shakespeare formulated as: «All the world's a stage, and all the men and women merely players.» Essentially, all of world culture, not only Russian, came under scrutiny in Tchaikovsky's art. Its inexhaustibility draws us to it as before, still speaking to our hearts and souls in the twenty-first century. Works on the overture «The Storm» inspired by the play by Alexander Ostrovsky. First performance of Symphony No.1 in Moscow (conducted by Nikolai Rubinstein). Premiere of the opera «Voyevoda» at the Bolshoi Theatre in Moscow. First performance of the fantasy overture «Romeo and Juliet» in Moscow (conducted by Nikolai Rubinstein). Premiere of the opera «The Oprichnik» at the Bolshoi Theatre in Moscow. First performance of the Concerto No.1 for piano and orchestra in Boston. First performance of Symphony No.3 in Moscow (conducted by Nikolai Rubinstein). Premiere of the opera «Vakula the Smith» at the Mariinsky Theatre in Petersburg. Premiere of the ballet «Swan Lake» at the Bolshoi Theatre in Moscow. First performance of the symphonic fantasy «Francesca da Rimini» in Moscow (conducted by Nikolai Rubinstein). First performance of «Variations on a Rococo Theme» in Moscow (Wilhelm Fitzenhagen on cello). First performance of Symphony No.4 in Moscow (conducted by Nikolai Rubinstein). Performance of the symphonic fantasy «Romeo and Juliet» in New York. Premiere of the opera «Eugene Onegin» at the Maly Theatre in Moscow performed by students of the Moscow Conservatory conducted by Nikolai Rubinstein. First performance of the «Grand Sonata» for piano in Moscow by Nikolai Rubinstein. First performance of «Capriccio Italien» in Moscow (conducted by Nikolai Rubinstein). First performance of the Liturgy of St. John Chrysostom for choir conducted by Sazarov. Premiere of the opera «Eugene Onegin» at the Bolshoi Theatre in Moscow. Premiere of the opera «The Maid of Orleans» at the Mariinsky Theatre in Petersburg. First performance of the Concerto for violin and orchestra in Vienna (Adolph Brodsky on violin; in Russia its first performance took place on 8 August 1882). First performance of Concerto No.2 for piano and orchestra in Moscow (Sergey Taneyev on piano). First performance of the trio «In Memory of a Great Artist» (Sergey Taneyev, Ivan Grzymali, Wilhelm Fitzenhagen). Performance of the cantata «Moscow» in the Hall of Facets with the orchestra and chorus of the Bolshoi Theatre conducted by Nápravník. Performance of the «1812 Overture» in Moscow (conducted by Erdmannsdörfer). Premiere of the opera «Mazepa» at the Bolshoi Theatre in Moscow and the Mariinsky Theatre in Petersburg. Premiere of the opera «Eugene Onegin» at the Mariinsky Theatre. First performance of the «Concert Fantasia» for piano and orchestra in Moscow (Sergey Taneyev on piano). First performance of the «Manfred» Symphony in Moscow (conducted by Erdmannsdörfer). Premiere of the opera «Cherevichki» at the Bolshoi Theatre in Moscow (conducted by Tchaikovsky). Premiere of the opera «The Enchantress» at the Mariinsky in Petersburg (conducted by Tchaikovsky). Triumphant concert tour through European cities (Leipzig, Hamburg, Berlin, Prague, Paris, London) in which Tchaikovsky conducts his compositions. First performance of Symphony No.5 in Petersburg (conducted by Tchaikovsky). First performance of the «Hamlet» fantasy overture in Petersburg (conducted by Tchaikovsky). Second of Tchaikovsky's concert tours abroad (Cologne, Frankfurt am Main, Dresden, Berlin, Geneva, Hamburg, London). Premiere of the ballet «Sleeping Beauty» at the Mariinsky Theatre in Petersburg. Premiere of the opera «The Queen of Spades» at the Mariinsky Theatre in Petersburg. Premiere of the opera «The Queen of Spades» in Kiev with Tchaikovsky in attendance. Concert tour in the USA (New York, Baltimore, Philadelphia). Premiere of the opera «The Queen of Spades» at the Bolshoi Theatre in Moscow. First performance of the sextet «Souvenir de Florence» at the Petersburg Chamber Music Society. Premiere of the opera «Iolanta» and the ballet «Nutcracker» at the Mariinsky in Petersburg. First performance of Symphony No.6 in Petersburg (conducted by Tchaikovsky).